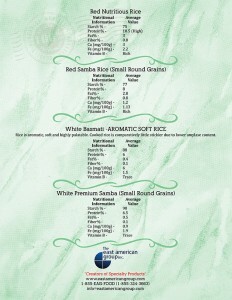 Rice is a naturally nutritious grain that is a staple ingredient and is consumed by a large population in the world. 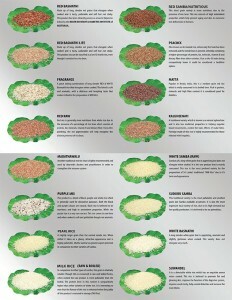 We offer a nice selection of rice and packaging options for every pallet. 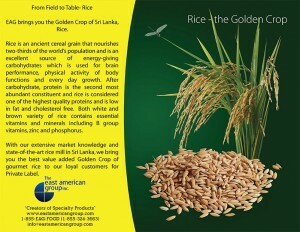 Short grain, long grain and colorful blends of rice sourced from Sri Lanka and around the world. 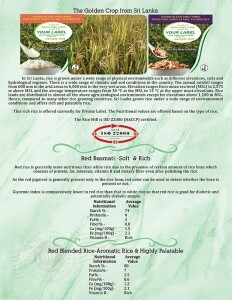 Contact Us to learn more about our rice & packaging.